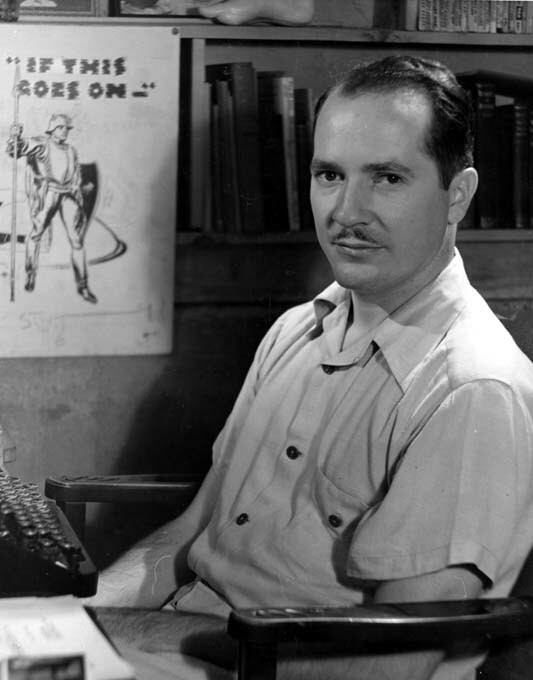 Robert A. Heinlein was an important influence on my boyhood. The message of his writings, especially the books he wrote specifically for teenage boys, was that if you were willing to learn, work hard and think for yourself, nobody could hold you back from anything you set your mind on doing. Heinlein’s personality reminds me of the popular lecturer, author and psychologist Jordan Peterson. He had to be the dominant person in the room. He was a know-it-all who was always interesting and sometimes right, but often out of his depth. And for all his quirks, he held up a positive ideal of manhood for boys and young men.. He wouldn’t even have become an SF writer if not for the opportunity provided by Campbell. But he was almost universally regarded as the foremost science fiction writer of his time. In his early work, he took classic themes of science fiction—time travel paradoxes, contact with alien beings, space colonization—and treated them all in new and definitive ways. Heinlein’s Future History stories, published in Astounding in the 1940s, predicted an era of space colonization beginning in the late 20th century, followed by a populist-fundamentalist backlash, and then the emergence of a scientific global civilization. I thought it was plausible. • Starship Troopers (1959), which inspired a new sub-genre called military science fiction. Jerry Pournelle, a leading writer of military SF and an admirer of Heinlein, was the chief admirer and promoter of President Reagan’s ‘Star Wars’ missile defense plan. • Stranger in a Strange Land (1961), about a hero with esoteric knowledge, paranormal powers and deep spiritual wisdom, which became a cult classic among the counter-culture generation of the 1960s. • The Moon Is a Harsh Mistress (1966), which inspired a new sub-genre called libertarian science fiction. Campbell, Heinlein and Hubbard were all large, extroverted macho men, of old white American pioneer stock, whose ideal was the “competent man,” who was able to individually deal with any situation. 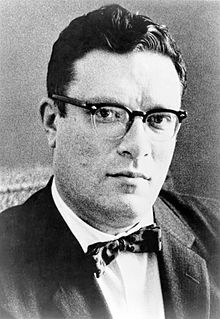 Despite or maybe because of their similarities, their egos eventually drove them apart..
Isaac Asimov, the shy, inhibited son of Russian Jewish immigrants, was an outlier in this group. He was the only one of the four who was a political liberal in the postwar era. He sought out Campbell as a mentor, and Campbell fed him the ideas for “Nightfall,” the psychohistorical Foundation and the Three Laws of Robotics. But he found his own voice and developed these ideas in ways that Campbell himself probably couldn’t have done. His thought was grounded in a humane rationalism similar to that of his good friend, Gene Roddenberry. In his Foundation stories, he imagined humanity being guided by a secret society of wise “psychohistorians”. His I, Robot stories culminated in the revelation that humanity was secretly guided by benevolent, super-intelligent robots. 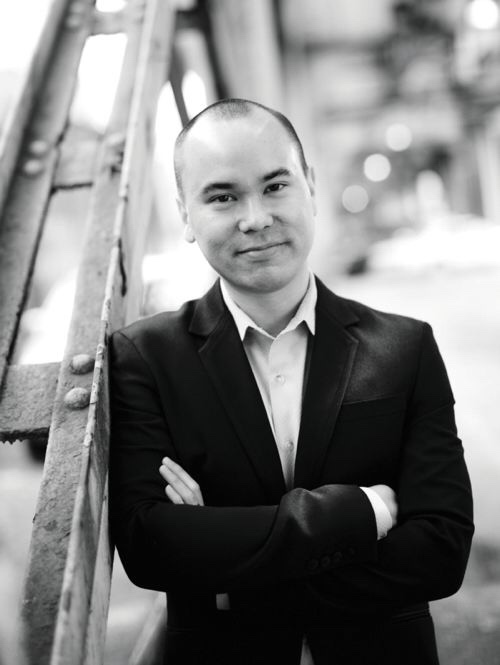 He gave up science fiction for a time to pursue a career as a professor of biochemistry. He then became a leading U.S. popular science writer, writing literally hundreds of books. But his non-fiction books went out of print, and his science fiction novels never did. Late in life he returned to science fiction. Asimov in mid-life overcame his sexual inhibitions and instead became a devotee of dirty limericks and an obsessive pincher of women’s behinds. His behavior was unacceptable not only by today’s standards, but those of his own time, but he was protected by his celebrity. 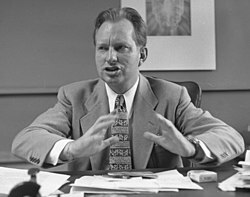 L. Ron Hubbard is known as the founder and leader of the Church of Scientology, the infamous totalitarian cult. But before he became a cult leader, he was promoting the supposed science of Diabetics in the pages of Astounding Science Fiction, and before that, he was one of the magazine’s most popular writers. 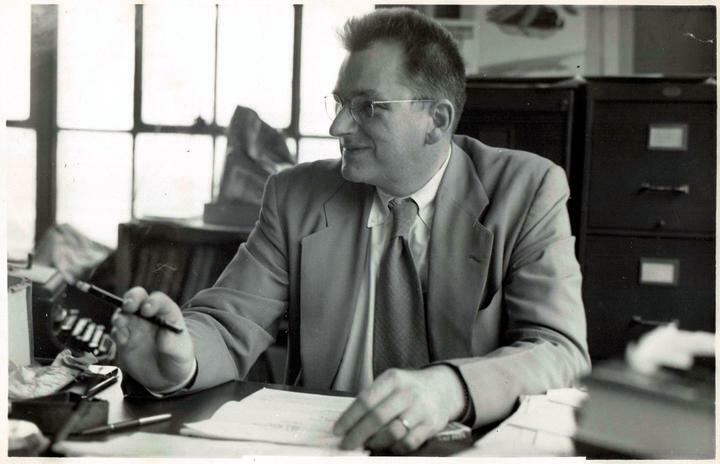 He was a prolific pulp writer of action-adventure stories who was imposed on Campbell by his publisher, who thought Astounding’s stories were too oriented toward machines. Hubbard was delusional, unscrupulous and a compulsive liar. He was the only one of the four on active military service during World War Two. He was an incompetent Naval officer and his service was a fiasco, but he convinced Campbell and Heinlein that he was a disabled war hero. Dianetics in its original version may have had therapeutic value. The idea was that words heard during traumatic experience left “engrams” on the mind, equivalent to bugs in computer software, and that “auditing” those experiences could de-bug the mind. Hubbard promised that once your mind was cleared of engrams, you could achieve genius-level intelligence and total recall of your life. As he went along, he found that clients took on engrams while still in the womb, and then before birth. Campbell at the time was convinced of the truth of Hubbard’s claims. He and his second wife Peg audited each other. He edited and contributed to Hubbard’s book, promoted it through Astounding and served as an officer in the short-lived Hubbard Dianetics Research Foundation. Theodore Sturgeon, A.E. Van Vogt and a number of other science fiction writers embraced diabetics. Heinlein and Asimov, however, were unconvinced. Hubbard in his early years had been heard to say that the way to make money was to start a religion. He folded Dianetics into a new Church of Scientology. It taught that human beings were inhabited by disembodied spiritual beings called Thetans, the former subjects of a galactic overlord called Xenu, Unlocking the life-energy of Thetans would provide paranormal powers and memories of past lives. Hubbard made the Church of Scientology became the equivalent of a police state, with mind control, an internal gulag, punishment for defectors and infiltration of potential enemies, and himself as absolute ruler. The reason it is part of the Astounding story is that it probably never would have come into being if Campbell has not used the magazine to promote Diabetics. Scientology’s bizarre theology was a fun house mirror image of science fiction. In the end, Hubbard evidently found life as a demigod to be unfulfilling. He returned to science fiction, with Battlefield Earth (1982) and the 10-volume Mission Earth (1985-87). Scientologists bought up enough copies to make both books best-sellers. After his death, his writings, including his science fiction, were engraved on steel plates or archival paper and encased in titanium capsules. They might well survive when all other written records of 20th century civilization have perished. In 1941, Astounding published Heinlein’s prescient short story, “Solution Unsatisfactory,” which told of an American military officer who oversaw development of atomic weapons, ended World War Two by using them on Germany. He then had to deal with nuclear proliferation, an attempted first strike, mutual assured destruction and all the other issues of the postwar era. In 1944, Campbell recklessly commissioned a story, set on another planet, about a nuclear bomb set off by bringing two hemispheres of uranium together to achieve critical mass. He was rewarded by a visit from the FBI, which nearly resulted in the magazine being closed down. The result was that Campbell and his writers emerged from the war with a reputation of being prophets. He published fiction about nuclear armageddon and articles about the atomic age. He called for new thinking for a new era.. But his magazine did not bring forth new thinking. Instead Campbell devoted himself to crackpot pseudo-science—first Diabetics and then psychic research and anti-gravity devices. He always had been a racist—a real racist, not just someone with unconscious prejudices—but he doubled down on his racism. He wrote that Negroes were a biologically inferior race, that slavery was sometimes a good thing, and that he intended to vote for George Wallace in 1968. This was retrograde not only by the standards of the present day, but of his own time. New science fiction magazines emerged—Fantasy & Science Fiction in 1949, which emphasized literary quality, and Galaxy in 1950, which emphasized social/political speculation. They peeled away some of his best writers and recruited new ones who never would have been considered by Campbell.. He never published anything by Ray Bradbury, Kurt Vonnegut Jr. or any other writer who didn’t fit Astounding’s previous mold. I think that Campbell lost interest in speculating about the future because he thought he was already living in it. He had predicted an atomic age and a space age and, lo, they had come about! Hat tip to my friend Judith Judson for suggesting this book. Alec Nevala-Lee’s blog. Well worth a look. Dawn of Dianetics: L. Ron Hubbard, John W. Campbell and the Origins of Scientology, an excerpt from Alec Nevala-Lee’s Astounding. For sci-fi, an ‘astounding’ yet tarnished golden age, an interview of Alec Nevala-Lee for the Christian Science Monitor. An unsung hero, Scientology and Isaac Asimov’s harassment, an interview of Alec Nevala-Lee for SyFyWire. 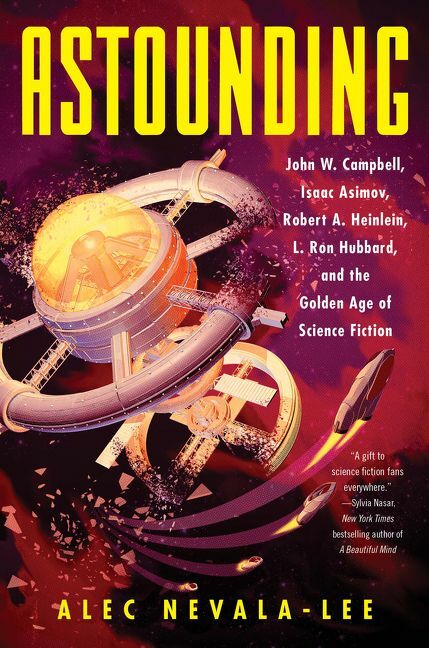 Beyond pulp: trailblazers of science fiction’s golden age, a review of Astounding by Rob Latham for Nature. This entry was posted on February 2, 2019 at 4:00 am and is filed under Books, Science Fiction. You can follow any responses to this entry through the RSS 2.0 feed. You can leave a response, or trackback from your own site.